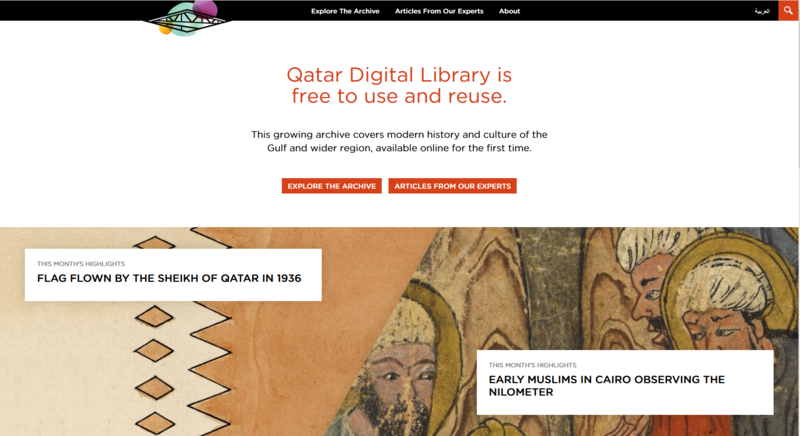 Qatar Digital Library (QDL) is a growing repository for over 500,000 historical and cultural records of the Gulf and wider region. 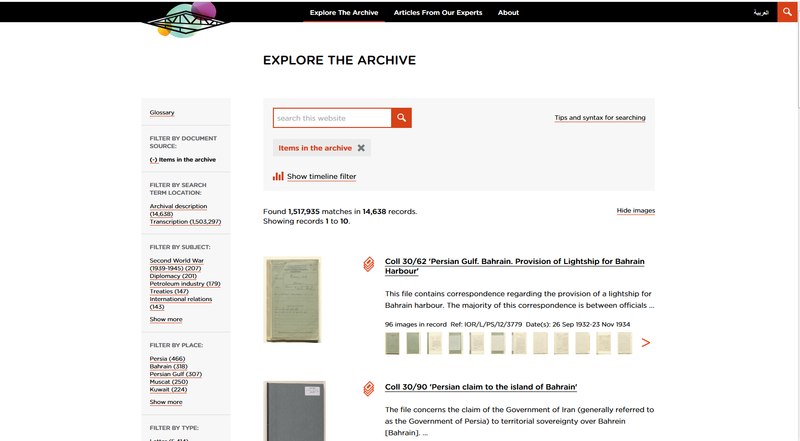 The Archives is available online and includes wide range of materials: maps, manuscripts, sound recordings, photographs and much more, complete with contextualized explanatory notes and links, in both English and Arabic. The QDL was made possible through a Memorandum of Understanding on Partnerships between Qatar Foundation, Qatar National Library and The British National Library. The aim of this partnership is to make a world-class resource freely available for everyone, for general audience and academic researchers. 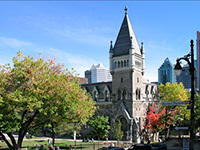 The site was launched on 27 October 2014. According to Cogapp, an industry-leaders in producing software for online archives and museums who designed and developed the software; the interface is user friendly and it is accessible across multiple devices, including mobiles, tablets and desktops. Everything is shareable on social media. All items can be zoomed to explore incredible details. It also allows the user to conduct a highly filterable search; 150 facet options are available to refine the search. The site and content meet archival standards and accessibility criteria. 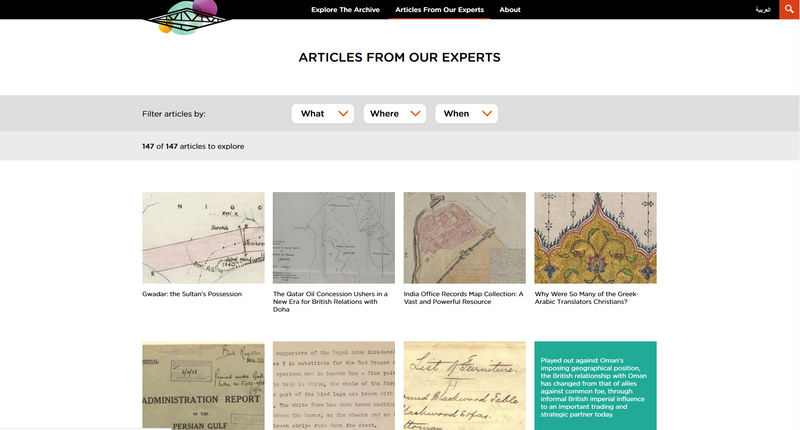 The repository also include 147 articles to explore, all grouped under Articles From Our Experts which can be filtered by topic, geographical location and time period. Switching from Arabic to English is possible through the language tab located on top of the page.